CND Solar Oil cuticle conditioning treatment is an award-winning favourite among nail professionals and clients. Its synergistic blend of naturally light oils and vitamin E offer intense therapy for dry, damaged cuticles. Jojoba oil carries the vitamin E deeply into the skin, reducing visible signs of aging and keeping hands soft and supple. Repeated use actually drives the oils deeper in the natural nail, for results that only get better with time. Nails hold colour and enhancements better, feel stronger and more flexible. 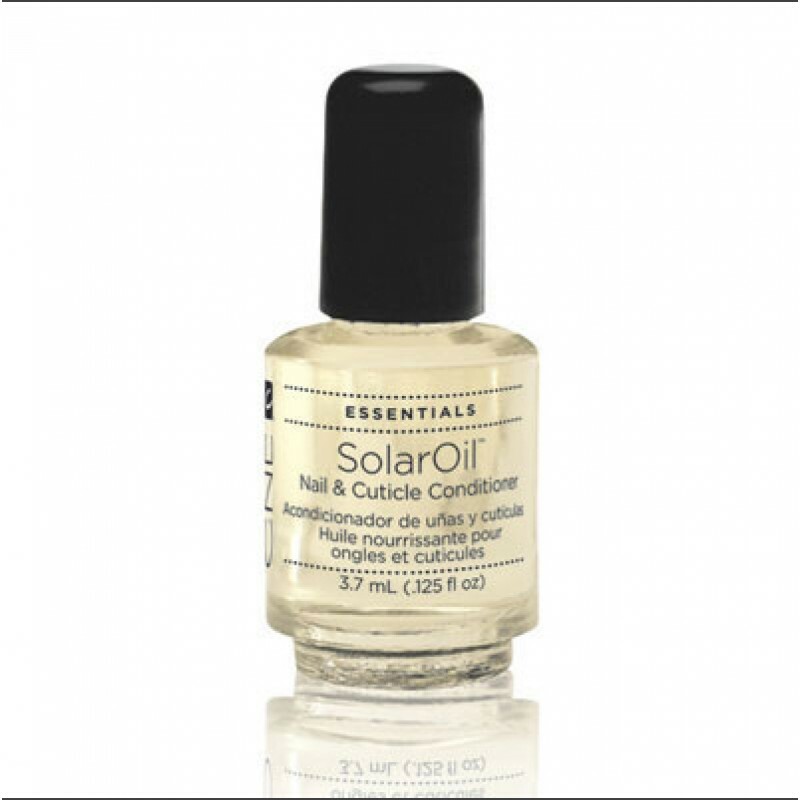 Solar Oil features a super-penetrating formula that works wonders on nails and cuticles. Send clients home with a bottle after every treatment, and make your manicures look (and last!) even better. Jojoba Seed Oil (Simmondsia Chinensis):Deeply penetrating natural oil for excellent moisturizing and conditioning. Jojoba Oil acts like a carrier to increase penetration of other ingredients.Vitamin E (Tocopheryl Acetate):Antioxidant known to neutralize free radicals associated with premature aging of the skin; softens and moisturizes. Sweet Almond Oil (Prunus Amygdalus Dulcis):Softens and conditions. Apply daily to top and underside of nails and massage into surrounding skin.